Donna M. Zadunajsky’s book, “Hidden Secrets” is about Carla, a schoolteacher who loves her work and her husband Tim, an attorney. They have a perfect marriage and are a beloved couple, but after five miscarriages and the loss of her husband, Carla’s world turns completely upside down. Shortly afterwards, she finds a collection of books, secret journals that Tim had been writing since his childhood that she knew nothing about. Within these pages, she learns that Tim had suffered all of his life and never mentioned anything to her. In short, she finds out that there were hidden secrets in his life–secrets that will change her to the core! Donna M. Zadunajsky presents readers with a well-written story filled with ups and downs, and an unexpected twist of fate. Her awesome character development skills made Carla, Tim, and all the other characters real and relatable to the reader. The pace is spot on, the drama and topic is thought provoking. Her writing style is defined, well crafted, and entertaining. 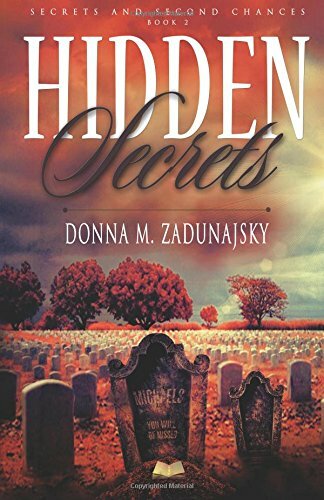 "Hidden Secrets” by Donna M. Zadunajsky, in my opinion is a must read book full of emotions that will make readers think twice about the lives of their loved ones and friends, and what they may have been through in the past. A work of fiction that resembles the back and forth that any person may face, making them doubt and fear about those secrets they are yet to discover. “Hidden Secrets” is definitely a great book by Donna Zadunajsky that I thoroughly enjoyed and recommend to readers as a four star read to have in their library.